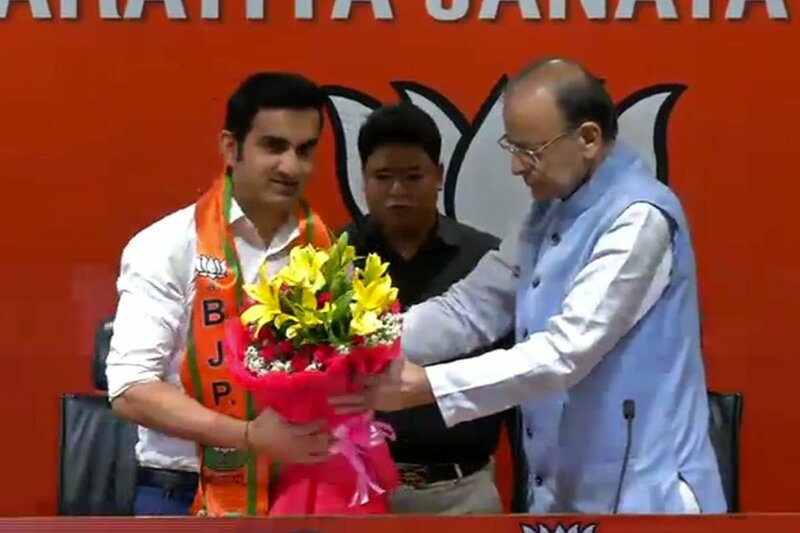 Former Indian cricketer Gautam Gambhir was officially inducted into the Bharatiya Janata Party (BJP) on Friday, just weeks ahead of the Lok Sabha elections 2019. Gambhir, 37, was welcomed to the party fold by Union Finance Minister Arun Jaitley and Union Law Minister Ravi Shankar Prasad. He later met party president Amit Shah. “I am joining this party (BJP) because I have been inspired by PM Narendra Modi’s vision. I have done whatever I could in cricket and I am honoured to get the opportunity to join this platform,” Gambhir said. Commenting on the cricketer joining the party Jaitley said that the BJP will be greatly benefitted by the cricketer’s presence. He, however, skirted a question on whether the BJP will field Gambhir from any of the seven Lok Sabha seats of Delhi. “The party’s election committee will decide (that). He will indeed be active as a campaigner and worker. The rest of the decision will be taken by the party,” he said. Speculations doing the rounds are that Gambhir will be the party’s candidate from Delhi. Gambhir, who has 8.98 million followers on Twitter, has been extremely critical of non-BJP political parties and politicians in the past. 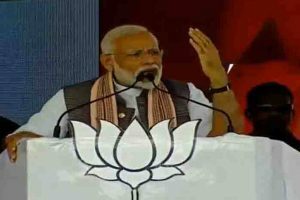 He was recently trolled on social media for his tweet on the Christchurch terror attack when he pointed fingers at the “propaganda media” and also drew a link to India. He played for the Indian national cricket team from 2003 to 2018 during which he played 58 Tests and 147 ODIs, scoring 9 and 11 centuries, respectively. The left-handed opener was also instrumental in India’s win in 2007 T20 World Cup and the 2011 Cricket World Cup. He captained the Kolkata Knight Riders to two IPL championships – 2012 and 2014. In 2019, Gambhir was honoured with the Padma Shri, India’s fourth highest civilian award.